Good news! We are excited to announce the release of the new KCM GRC platform. 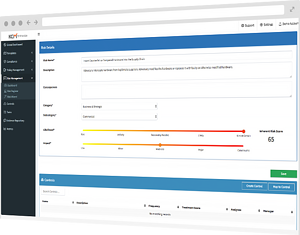 We have expanded the existing KCM product with new Risk and Policy Management modules, transforming KCM into a full SaaS GRC platform! The new KCM GRC platform helps you get your audits done in half the time, is easy to use, and is surprisingly affordable. No more: "UGH, is it that time again!" KCM GRC simplifies the challenges of managing your compliance, risk, and audit projects, enables you to efficiently manage GRC initiatives, and understand at a glance what items need to be addressed. See how you can get audits done in half the time at half the cost! Request your 30-minute live product demonstration of KnowBe4's new KCM GRC platform.